The Genesee County Democratic Party stands with the people of our county-seat, the City of Flint, who have been and continue to be without safe drinking water since 2014 when a series of unelected dictators appointed by the Republican Governor under the Republican “Emergency Manager” law made the decision to switch the source of Flint’s drinking water to the Flint River. Instead of putting the safety of people first, the Republican administration and its “Emergency Managers” decided that investing in corrosion control was too expensive. In doing so, Republicans decided that the almost 100,000 lives who reside in the City of Flint and the thousands who visit and work there on a day-to-day basis were worth less than the $100 a day that it would have cost to prevent lead from leaching into the City’s water supply. Republican Governor, Rick Snyder, the Emergency Managers, the Republican Legislature, and the Republican Attorney General, Bill Schuette, ignored the complaints of residents in the spring of 2014 about the foul odor, taste and color of the water, rashes, and unexplained illnesses that arose after the switch to the Flint River. Instead, they assured the people of Flint and Genesee County that the water was safe to drink until October 2015 despite the evidence presented by independent experts to the contrary. Even after evidence was presented by those experts of severe lead contamination in the drinking water and a spike in the incidence of water borne Legionnaires disease, State Republicans continued to put the interests of cutting budgetary corners over the health and well-being of people. The impact that this has had on families is tragic. Exposure to Legionnaires Disease has resulted in the death of at least twelve people. Over one-hundred have been diagnosed. Children who have used unfiltered Flint water since spring 2014 have been drinking water that was poisoned by lead. There is no such thing as a safe amount of lead for children. At any level, children are in direct risk of experiencing significant and long-term cognitive, psychological, and behavioral problems as well as a higher risk for kidney and heart disease. The fetal death rate has substantially increased since the change to the Flint River. People have suffered numerous other health conditions that remain undiagnosed that began occurring since the switch in water sources, including skin rashes, hair falling out, and respiratory issues. Families have lost beloved pets who were poisoned by the water, have had their homes torn apart, and their lives upended. This disaster was man-made resulting from State Republicans starving local governments to provide enormous tax breaks to big business. Since then, the Republican administration has proven that it is more interested in allowing Nestle a cushy deal to pump over one million gallons of Michigan water for only $200 a year than fixing Flint’s pipes, properly providing for those impacted, and making sure that another Flint Water Crisis never happens. Just days after practically giving away our water so that Nestle could sell our water back to the people of Flint, Governor Snyder announced that Flint residents would no longer receive bottled water from the State and that it was safe to use the tap water. This seems to be nothing more than a cynical attempt by the Republican administration to help Nestle make money off of the Flint Water Crisis. 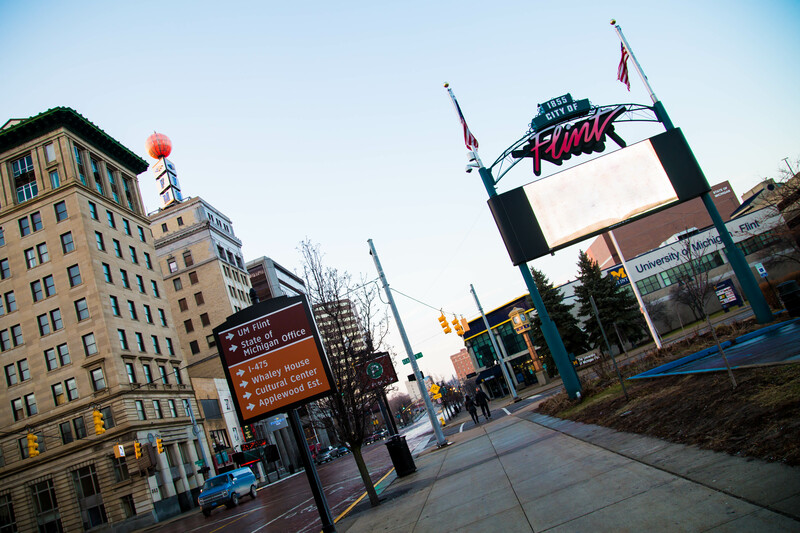 Then, when the City indicated that it was planning on filing a lawsuit to protect the legal rights of its citizens, Governor Snyder pulled out of talks with City officials in retaliation. A little over a month later, another boil water advisory was announced and Flint residents were told to not come into contact with their tap water. This is water that residents of the City continue to pay for at outrageous prices that remains unsafe and unusable. In the years that have followed, Democrats have led the fight against Republican opposition to allocate funding to fix the pipes that Republicans broke, to restore safe drinking water, and to provide for the long-term nutrition, education, and health of those who have been impacted by the Flint Water Crisis. On the federal level, President Obama signed into law the Water Infrastructure Improvements for the Nation Act of 2016 (WIIN), which allocated $100 million to Flint—a bill that Democrats U.S. Senator Debbie Stabenow, U.S. Senator, Gary Peters, and U.S. Representative, Dan Kildee, fought to get passed. Similarly, Democrats in Lansing have struggled against Republicans in the Senate and the House. 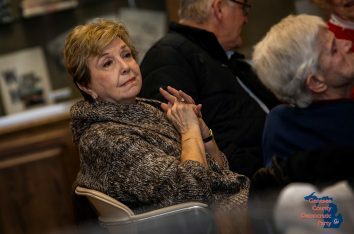 Democratic State Senator Jim Ananich proposed legislation that would have allowed Flint to raise the money necessary to rebuild the damage that had been done. After the bill was passed in the Senate, the Republican Speaker of the House would not even allow the bill to come to a vote. 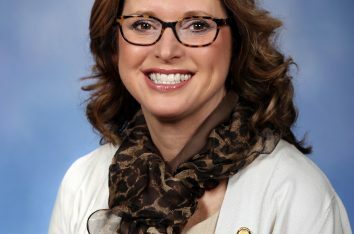 Senator Ananich struggled against Republican opposition to pass legislation to allow Flint to establish a promise zone to assist Flint students with the cost of higher education. Democrats, including Representative Pam Faris in the House Appropriations Committee, advocated to increase state funding to fix the pipes and were able to negotiate $114.3 million in the 2017 State budget. State Representative Sheldon Neeley proposed legislation to require that notification be provided within 72 hours that the lead action levels were exceeded. This was one of the only bills proposed by democrats in the House that was passed. Representative Phil Phelps fought for transparency and accountability. After the State failed to properly respond to his request for information, he was forced to hire an attorney and threaten a lawsuit. Only then did the Republican administration release thousands of pages of documents regarding the switch. Yet, the Republican majority continues to oppose efforts by Democrats. State Democrats in the House have sponsored over a dozen bills relating to the Flint Water Crisis that have been stalled in committee by Republican lawmakers for over a year. These bills would have provided heightened drinking water testing requirements, would have mandated testing water in schools and daycare facilities, would have required more severe criminal penalties for misconduct by public officials, would have allowed local communities access to low-interest loans to replace crumbling water pipes, and would have created a process for those who believe that their water is not safe to take action. These bills were supported by local State Representatives Pam Faris, Sheldon Neeley, Phil Phelps, and Tim Sneller. Despite the importance of these efforts, Republican lawmakers were too busy granting massive tax cuts to corporations and funding Governor Snyder’s legal defense. 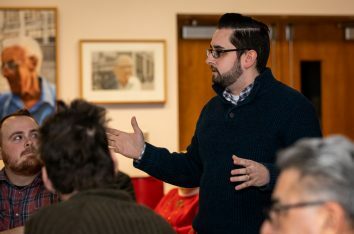 Most recently, State Representatives Neeley and Phelps have proposed legislation that would allow individuals to recover damages relating to the death or injury of a person or property caused by a water emergency, including damages from the State for those affected by the Flint Water Crisis. We must not allow Republicans to stall these bills like they stalled earlier bills. We must hold the Republican Party accountable at the polls for what happened to the people of Flint. If the Republican Party refuses to protect the people of Michigan, then they must be voted out of office and replaced with Democrats who will. Please join us and help us win this fight!